Las Vegas-based Pinnacle Entertainment Inc. has grown powerfully over the past several years, fueled by acquisition and by restructuring real estate assets. In August 2013, Pinnacle doubled its footprint with its $2.8 billion purchase of Ameristar Casinos Inc. The deal opened the company to several new markets with the addition of Ameristar’s gaming entertainment properties in Ohio, Mississippi, Iowa and Colorado, Pinnacle CEO Anthony Sanfilippo said. The deal also gave the company a road back into Nevada with the addition of Cactus Petes and the Horseshu in Jackpot. Pinnacle had sold its only holding in the state, Boomtown Reno in Verdi in 2012. Pinnacle had gained the property in a merger with Boomtown Casinos in 1997. Pinnacle’s headquarters remained in Las Vegas. A property in Las Vegas might not be out of the question for Pinnacle. “If there was the right opportunity, we absolutely would look to expand in Nevada,” Sanfilippo said. 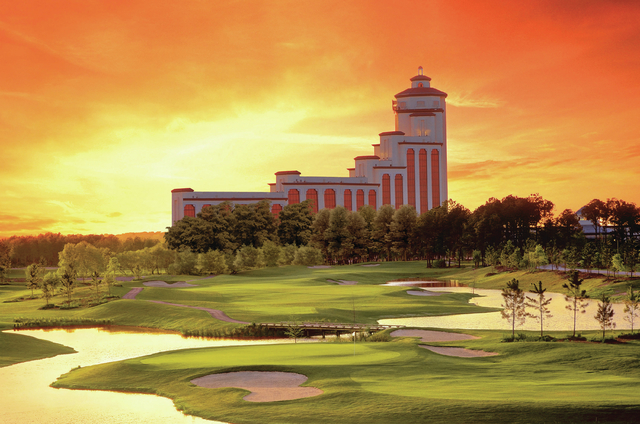 Pinnacle strengthened its holdings in Louisiana and Missouri through the Ameristar acquisition. Through an agreement with regulators, to avoid antitrust violations, Pinnacle sold Ameristar’s Lake Charles, Louisiana, property, then under development, to Golden Nugget Casinos. 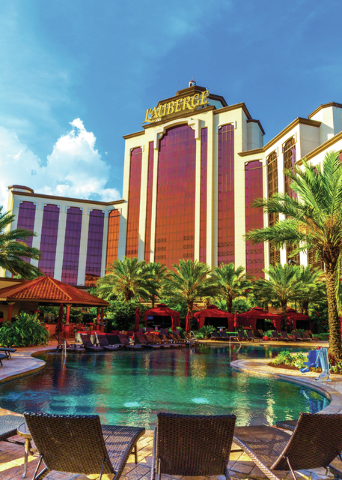 Pinnacle continues to operate its L’Auberge Lake Charles property, adjacent to Ameristar’s Lake Charles’ development. Also under the agreement with the commission, Pinnacle sold its Lumiere Place Casino in downtown St. Louis. Pinnacle strengthened with its larger footprint. “We’re able to buy things at greater quantities and get better prices,” Sanfilippo said. Large infrastructure has been built at the Las Vegas base, which Sanfilippo said has been dubbed the “Las Vegas Service Center.” There, capabilities in marketing, accounting, planning and analysis have grown for its national holdings. Sanfilippo said shareholders benefited from Pinnacle’s recent spinoff of its real estate assets. In a lease-back deal valued at over $4 billion, GLPI, a real estate investment trust, purchased most of Pinnacle’s real estate, excluding Pinnacle’s Belterra Casino Resort in Cincinnati. Pinnacle shareholders received one share of stock in the new Pinnacle for holding shares in the former company. Former Pinnacle shareholders also received 0.85 shares in GLPI for each share they owned in the former Pinnacle. The deal closed April 30. Under the agreement, GLPI assumed $2.7 billion in Pinnacle’s debt — leaving $850 million of the company’s $3.6 billion total, Sanfilippo said. “It was a very nice financial outcome, and our company today has a very strong balance sheet, and the ability to continue to grow our company,” Sanfilippo said. Sanfilippo has witnessed much of Pinnacle’s growth. He came on in March 2010 after leaving his position of CEO at slot machine maker Multimedia Games Holding Co. Inc., then-based in Austin, Texas. Las Vegas-based Global Cash Access Holdings Inc., now Everi Holdings Inc., purchased Multimedia games in late 2014. Pinnacle’s revenue doubled over the past several years, from roughly $859 million for 2010 to more than $2.2 billion at the end of 2015. In this year’s first quarter, the company’s net income rose to more than $41 million from over $27 million a year earlier. The latest move on Pinnacle’s radar is the Meadows Racetrack and Casino in Washington, Pennsylvania, near Pittsburgh. Pinnacle agreed with GLPI to purchase the harness-racing track and gaming license for $138 million in March 2016. That deal is to close in the third quarter. The company will lease the real estate from GLPI. Under the agreement, Pinnacle will be held to a triple net lease with an initial annual rent of $25.5 million for the next 10 years, with renewal options up to 29 years. The Meadows comes with a 180,000-square-foot casino that has 74 table games, 11 poker tables and a pari-mutuel gambling. 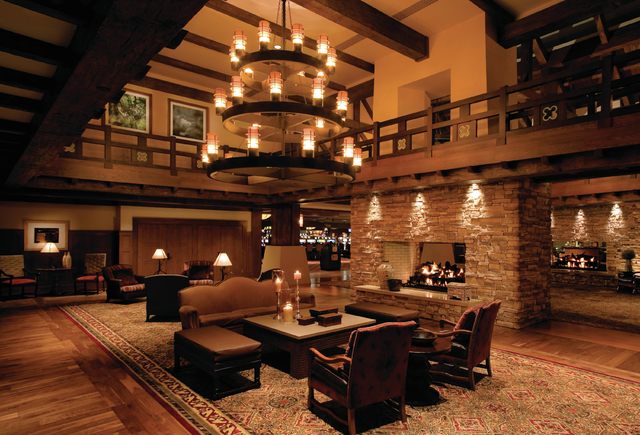 There’s also 11 restaurants, along with lounges, bars and other amenities. Horse racing was Pinnacle’s main business when it started in 1938. The company then owned Hollywood Park Turf Club, which was organized in California to operate the Hollywood Park racetrack in Inglewood. Pinnacle, then Hollywood Park Inc. sold the Hollywood Park casino and racetrack to Churchill Downs Inc. in 1999. Hollywood Park Inc. became Pinnacle Entertainment 2000, according to the UNLV Center for Gaming Research’s website. Besides the impending Meadows deal, Pinnacle holds a management contract for Retama Park Racetrack, just outside of San Antonio. Pinnacle also owns the majority equity interest in the racing license owner for Retama, acquired in 2013. In Las Vegas, Pinnacle caters to locals through its mychoice loyalty program, under which guests can receive offers for stays at MGM Grand and MGM Resorts International holdings in Las Vegas.